Every state has its upsides and downsides, but I have trouble finding any downsides to Oregon. It is perfect for a social person like me who has a great appreciation for wildlife. Even the larger cities like Portland have a close connection to nature that many big cities lack. Oregon is full of mountains, rivers, and forested areas that provide a respite from modern living. Portland is home to Forest Park, which boasts acres of hiking trails and more than 100 species of birds in the middle of the city. 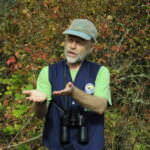 Not too far away is the Portland branch of the National Audubon Society. One of Audubon’s most interesting projects is the Peregrine Falcon Monitoring Program. In 1972, peregrine falcons were almost extinct due to DDT usage. DDT caused birds to lay thinner eggs that did not make it through incubation. With the banning of DDT and the listing of Peregrine Falcons as an endangered species, the road to recovery began. 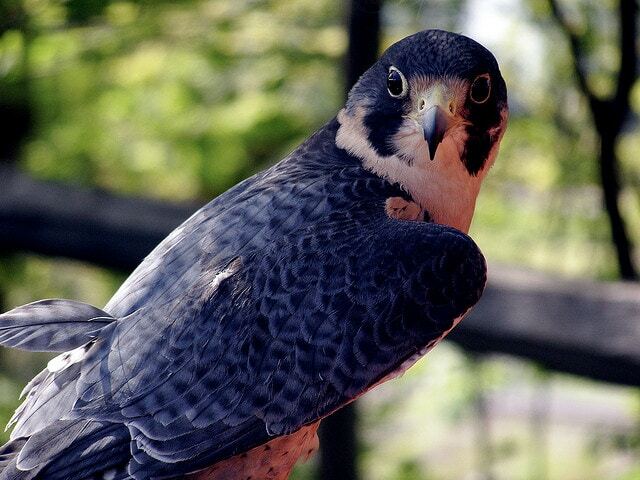 Through the 80s and 90s, peregrine falcons were released in different areas in Oregon. In 1994, peregrines were discovered nesting on the Fremont Bridge in Portland. Today there are 5 nesting sites in Portland alone (including 3 bridges), accounting for 5% of the peregrine population in Oregon. Seeing these wild birds in the middle of the city is a humbling experience. It reminds me that humans are not alone on this planet. Peregrine falcons are no longer on the endangered species list, but the Audubon Society of Portland still monitors their progress in Oregon. It is amazing that we can see such wild creatures in such an urban area, but Portland is not the only place in Oregon where wild birds are being cared for. Cascades Raptor Center in Eugene is a wildlife hospital that focuses on birds of prey. The Northwest is known for its appreciation for the great outdoors. The beautiful scenery allows for a much closer relationship with nature than people in other parts of the country get to experience. Even our large cities have an abundance of parks and opportunities to interact with nature. Because of the unique blending of rural and urban that is in the Northwest and Oregon in particular, we are likely to see typically wild birds in unexpected settings. There are a lot of things we can do as individuals to promote the safety of urban birds. The first step is education. Learning about what birds are native to your area will open your eyes to the possible sightings in your area. Getting involved with a conservation society or wildlife hospital will show you what you can do to help. By learning what birds and problems are in your area, you can become part of the solution, and have some amazing encounters with nature while you’re at it. Ernie Allison loves nature. More specifically, he loves birds and wants to teach others how to appreciate them, too. To help further this mission, he writes for birdfeeders.com.